Traditionally, growing cannabis in a cold climate has been a case of identifying early finishing strains that won’t get caught out by the cold and damp in October. Naturally, this has limited the ability of growers to grow long flowering strains such as haze and other cannabis Sativa varieties, because the time needed to ‘finish’ these plants outside meant at best they have to be cut early, at worst they are permanently damaged by mould or frosts. Advances in the development of ‘autoflowering’ strains has meant that this limitation has now been completely removed. It is now possible to grow strains such as Power Plant, White Diesel Haze as well as many others outdoors in colder climates by growing versions of them that autoflower. These new autoflowering plants are different in that they automatically go from their initial vegetative state into flower, without being dependent on changes to lighting hours. 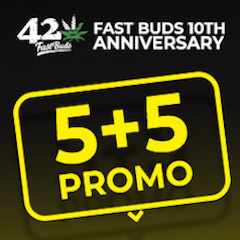 This all means you can plant a seed and simply harvest your bud just 70 days later. Very straightforward and this feature also reduces the window of good light needed, meaning you can plant seeds in the UK in May, June or July and reap the rewards 70 or so days later. Bonus! Autoflowering seeds are not the only answer to growing in cold climates. Traditional cannabis seeds (photoperiod sensitive) that finish budding in September or early October are also completely viable. A good example of a photoperiod variety that works well in the cold is Dutch Passion Blueberry. As well as being a renowned cannabis variety with a beautiful Indica stone popular with medical users, this plant is also widely reported to do well outdoors. It may also go blue or purple during the grow, adding to its natural beauty and appeal. Is also a very easy to grow plants that will grow well outdoors in colder areas. The high is out of this world – fun, trippy and strong-the kind of thing you don’t tend to smoke more than one dooby of. And don’t make plans! The plant itself can take all kinds of abuse and still carries on doing its thing. Definitely worth checking out. Early Skunk is a plant that has been specifically bred to do well in cold weather. Finishing earlier than other versions of Skunk, this plant will yield really well and won’t give you too much bother in the grow either. Good for beginners and a solid bet for a decent harvest in a cold place. This plant gets a huge amount of attention because of its 7 week flowering period and stimulating Sativa effects. A very tasty (strawberry/liquorice) plant that has become a firm favourite with UK growers. This is a very special hybrid that wont let you down, whatever the weather. Finishes in September and easy to grow. In the past it was always the case that photoperiod sensitive plants would yield more than their traditional relatives, but this is definitely no longer the case and it is not unusual for autos growing in the land to yield several ounces per plant. 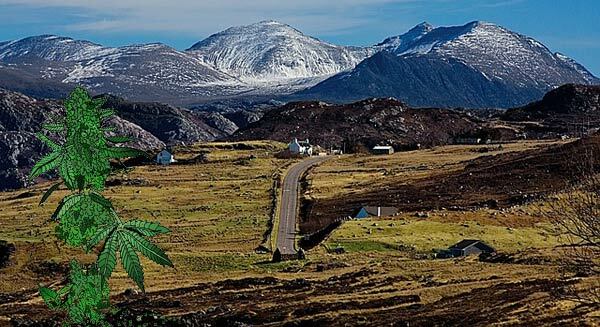 For a more detailed list of strains that grow well in cold climates there is a post on UK420. Purple Bud Automatic has been grown very successfully throughout the UK (including Scotland) and is a beautiful looking plant. It’s an Indica dominant variety with a very pleasant high and pristine purple buds that are a joy to behold for even the most discerning of growers. She’s a great option for beginners, being easy to grow and quick to deliver its harvest. The high is a very relaxing but functional stone. 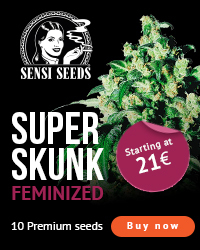 Sensi Seeds created the original Skunk and this is a magical reworked version that has been responsible for super high yields throughout the UK and other countries with cold climates. A strong high that won’t disappoint you, however long you have been smoking the herb. Very reliable indeed. Tested in harsh climates this auto is extremely resiliant – whatever the weather. Another high performance auto, Dinafem Cheese XXL delivers massive buds of cheese in around 80 days. 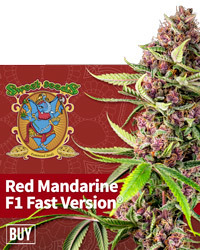 This plant is very easy to grow and I can say from personal experience that it is a great smoke. The size of the buds will impress you. If you want cheese fast, this is the plant to grow. Very easy to grow. Literally plant in good soil and stand back! This is a beauty of a plant. More details about growing it here. Magnum led the way in autoflowering magic when it first came out. Farmers in Spain were astounded when they discovered yields of 250g per plant were possible when growing it directly in the ground (ie, not in a pot). It does great in colder climates too, planted between May and July. The high is a focused energising trip that will make you active, relaxed and driven. Well worth checking out. This is one amazing plant. A cross of two old school powerhouses – cheese and haze. No long wait for the haze genetics to finish though, as this plant will be totally done in 15 weeks from start to finish. A little longer than a standard autoflower- but well worth the wait. Gets pretty big too. The high is a fantastic experience that will be popular with most. An active and happy cheese buzz that lasts really well. Some of the best weed I have ever grown, I will definitely come back to this plant. It’s also worth your while to check out the plants classed as being able to do well in cold climates at Sensi Seeds. Good luck! Previous post: What are the best cannabis seeds for beginners?